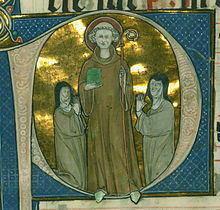 Theobald of Bec was a Norman archbishop of Canterbury from 1139 to 1161. His exact birth date is unknown. Some time in the late 11th or early 12th century Theobald became a monk at the Abbey of Bec, rising to the position of abbot in 1137. 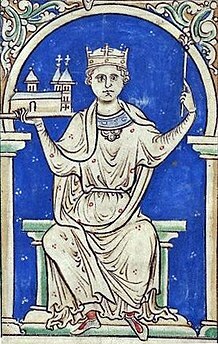 King Stephen of England chose him to be Archbishop of Canterbury in 1138. Canterbury's claim to primacy over the Welsh ecclesiastics was resolved during Theobald's term of office when Pope Eugene III decided in 1148 in Canterbury's favour. Theobald faced challenges to his authority from a subordinate bishop, Henry of Blois, Bishop of Winchester and King Stephen's younger brother, and his relationship with King Stephen was turbulent. On one occasion Stephen forbade him from attending a papal council, but Theobald defied the king, which resulted in the confiscation of his property and temporary exile. Theobald's relations with his cathedral clergy and the monastic houses in his archdiocese were also difficult. The Treaty of Wallingford, also known as the Treaty of Winchester or the Treaty of Westminster, was an agreement reached in England in the summer of 1153. 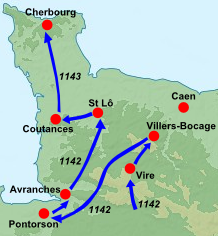 It effectively ended a civil war known as the Anarchy (1135–54), caused by a dispute between Empress Matilda and her cousin Stephen of Blois over the English crown. 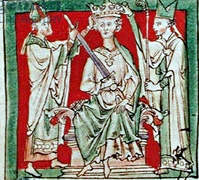 The Treaty of Wallingford allowed Stephen to keep the throne until his death, but ensured that he would be succeeded by Matilda's son, Henry II. Gilbert Foliot was a medieval English monk and prelate, successively Abbot of Gloucester, Bishop of Hereford and Bishop of London. Born to an ecclesiastical family, he became a monk at Cluny Abbey in France at about the age of twenty. After holding two posts as prior in the Cluniac order he was appointed Abbot of Gloucester Abbey in 1139, a promotion influenced by his kinsman Miles of Gloucester. During his tenure as abbot he acquired additional land for the abbey, and may have helped to fabricate some charters—legal deeds attesting property ownership—to gain advantage in a dispute with the Archbishops of York. 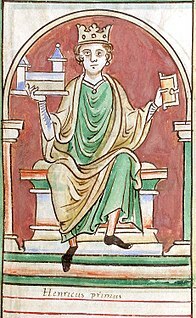 Although Foliot recognised Stephen as the King of England, he may have also sympathised with the Empress Matilda's claim to the throne. He joined Matilda's supporters after her forces captured Stephen, and continued to write letters in support of Matilda even after Stephen's release. 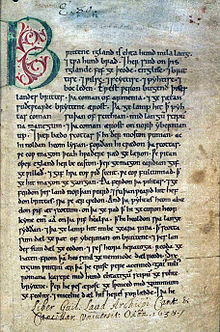 Nigel was an Anglo-Norman Bishop of Ely. He came from an ecclesiastical family; his uncle Roger of Salisbury was a bishop and government minister for King Henry I, and other relatives also held offices in the English Church and government. Nigel owed his advancement to his uncle, as did Nigel's probable brother Alexander, who like Nigel was advanced to episcopal status. Nigel was educated on the continent before becoming a royal administrator. He served as Treasurer of England under King Henry, before being appointed to the see, or bishopric, of Ely in 1133. His tenure was marked by conflicts with the monks of his cathedral chapter, who believed that Nigel kept income for himself that should properly have gone to them. Robert de Bethune was a medieval Bishop of Hereford. From a knightly family, he became a teacher before becoming a canon, a type of monk, by 1115. 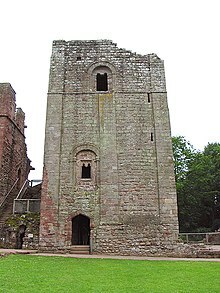 He was elected prior of Llanthony Priory in the middle 1120s, and was named bishop by King Henry I of England in 1130. As bishop, he was often appointed a judge by the papacy, and was known for the care he took of his diocese. 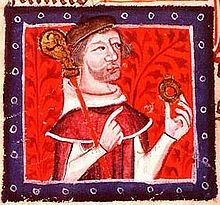 Pain fitzJohn was an Anglo-Norman nobleman and administrator, one of King Henry I of England's "new men", who owed their positions and wealth to the king. The siege of Oxford took place during The Anarchy—a period of civil war following the death of Henry I of England without an heir—in 1142. 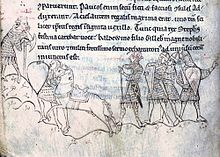 Fought between his nephew, Stephen of Blois, and his daughter, the Empress Matilda, who had recently been expelled from her base in Westminster and chosen the City of Oxford as her new headquarters. Oxford by now was effectively a regional capital and important in its own right. It was a well-defended city with both rivers and walls protecting it, and was also strategically important as it was at a crossroads between the north, south-east and west of England, and also not far from London. By now the civil war was at its height, yet neither party was able to get an edge on the other: both had suffered swings of fate in the last few years which had alternately put them ahead, and then behind, their rival. 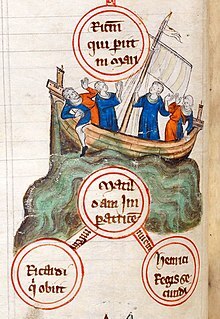 Stephen, for instance, had been captured by Matilda's army in 1141, but later in the year, Matilda's half-brother and chief military commander, Robert, Earl of Gloucester was captured by Stephen's army. Likewise, Matilda had been recognised as "Lady of the English" but had not long afterwards been run out of London.